Dean's Cards uses the Grading Standards of PSA as the minimum baseline for grading the cards in our inventory. In addition, Dean heavily weights a card's "eye appeal" when considering a card's overall grade. As collectors ourselves, we tend to be a bit more critical of a card's eye appeal than the professional grading companies. Please watch the video on the right for a more detailed look at our grading standards. Even if a card meets all of the technical requirements for a particular grade, we also require that it have an overall look that represents that grade. For example, we tend to be more critical of cards that are blurry, dull, have diamond-cut (crooked) images or possess rough-cut edges. Collectors who are accustomed to purchasing ungraded cards from other vendors are usually amazed at our tough grading standards. It is quite common for Dean's Cards to be graded one to three grades lower than similar raw cards (graded by the seller) that are sold online. 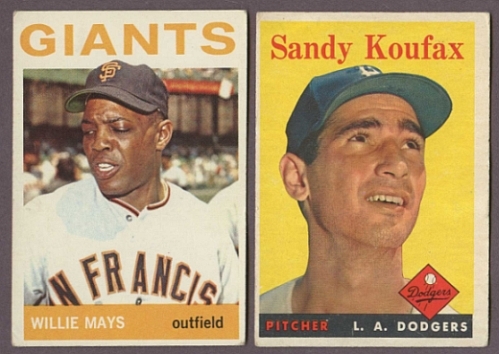 Our website shows the actual scans of each of the vintage cards that are listed online. Even with a huge image of the card that you are viewing, scans can sometimes be deceptive. By grading our cards conservatively, Dean's goal is that the cards you order from Dean's Cards will meet, and hopefully exceed your expectations. This practice is simply good business from our point of view. If a card should fail to meet your expectations for any reason, please return it for a full refund. The reasoning behind this is simple: If you pay to have your card graded and encased and it is over-graded, you are probably happy. 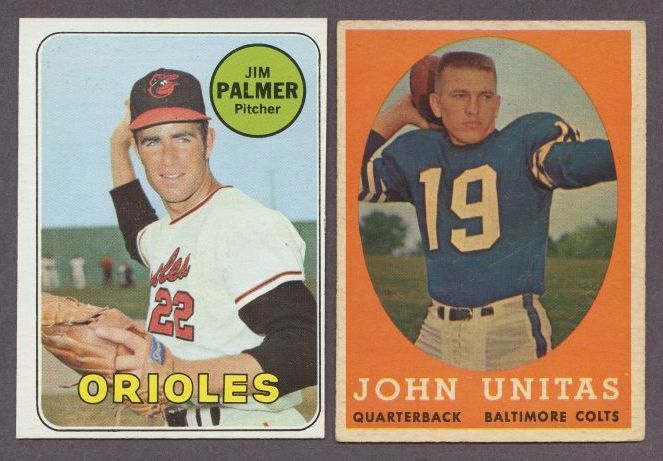 If you buy a card from us and you feel that it is under-graded, you are not happy. 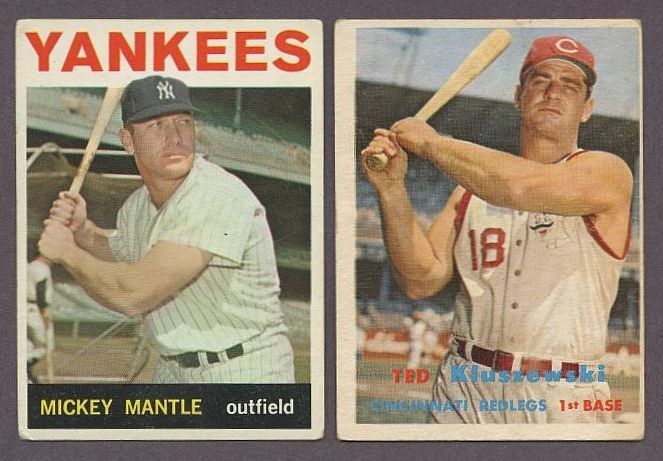 Another difference that we have from PSA graded cards is that Dean's Cards does not use qualifiers on cards with flaws, such as OC (off center) or ST (stained). 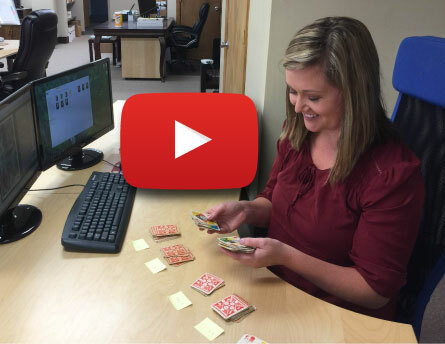 Dean's Cards will simply have a lower grade after taking that card's flaw into consideration. For example, a card that would grade PSA 8 (OC) would most likely be graded a Dean's Cards 6 - but not always. It is often graded lower. To further increase the quality of our product, we ask our customers to report cards that appear to be graded too easy (or too tough) so that we can review the card and possibly adjust the grade. Our goal for your Dean's Cards purchase is the exact same goal when we buy cards -- we want you to be completely satisfied with the card you receive and never have to be hassled with returning unwanted cards for replacements. Our entire staff will do everything that we possibly can to exceed your expectations on the first try. No mistakes and no excuses. Your time is too valuable and your business is greatly appreciated. 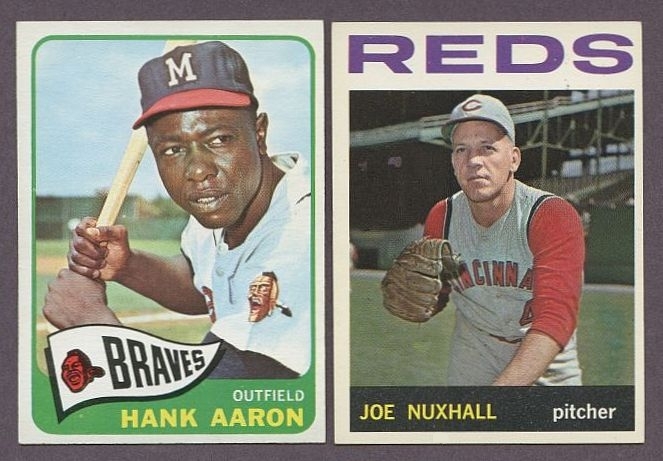 Near Mint/Mint (Dean's Cards 8) is our top grade for vintage cards. 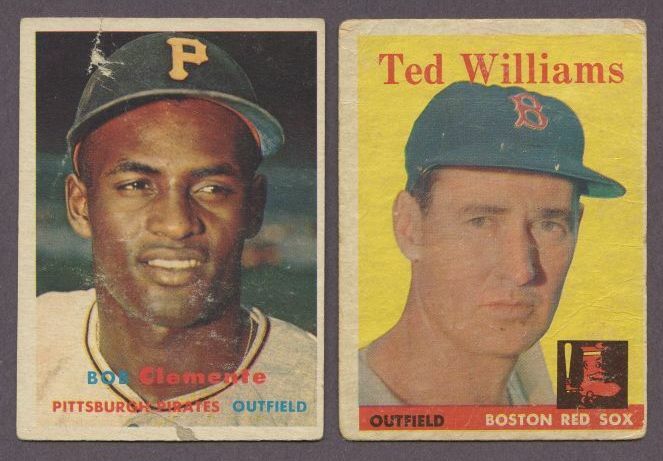 Depending on the issue, 1% to 5% of post World War II vintage cards grade this high. To quote PSA Grading Standards: "A NM-MT 8 is a super high-end card that appears Mint 9 at first glance, but upon closer inspection, the card can exhibit the following: a very slight wax stain on reverse, slightest fraying at one or two corners, a minor printing imperfection, and/or slightly off-white borders. Centering must be approximately 65/35 to 70/30 or better on the front and 90/10 or better on the reverse." EX-MT 6 is the highest grade a card can receive if the card features a scratch-off on the back that has been rubbed with a coin to expose a cartoon or trivia answer. "On EX 5 cards, very minor rounding of the corners is becoming evident. Surface wear or printing defects are more visible. There may be minor chipping on edges. Loss of original gloss will be more apparent. Focus of picture may be slightly out-of-register. Several light scratches may be visible upon close inspection, but do not detract from the appeal of the card. Card may show some off-whiteness of borders. Centering must be 85/15 or better on the front and 90/10 or better on the back." * Taken from PSA's website. A VG-EX 4 card's corners may be slightly rounded. Surface wear is noticeable but modest. The card may have light scuffing or light scratches. Some original gloss will be retained. Borders may be slightly off-white. A light crease may be visible. * Referenced from PSA. A Dean's Cards VG 3 card is considered an "off-grade" card. Please remember that "Very Good" is a grading term and not an adjective! While several creases may be present in this grade, these cards will have other positive attributes to make up for these flaws. 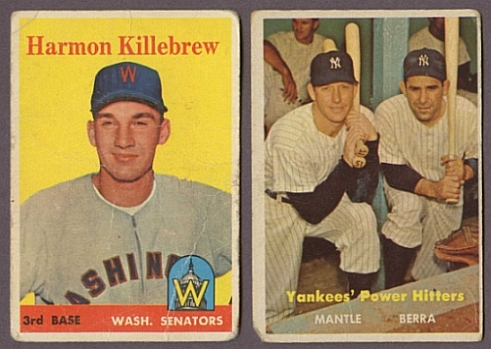 The 1957 Klu (pictured above) is an example of a very weak Dean's Cards VG 3. Most will have a bit better eye appeal. This grade can also have pen marks on the back of the card. A card that has been trimmed or altered can be graded as high as VG 3, but we will clearly state this in the title of the card if we suspect tampering. A card graded Dean's Cards 2 GOOD is not good. It is downright LOUSY! For that reason, a GOOD card sells for only 10% or less of it's price in NEAR MINT condition. It may have four rounded corners and multiple creases. They may also have a small amount of writing on the front or back of the card. 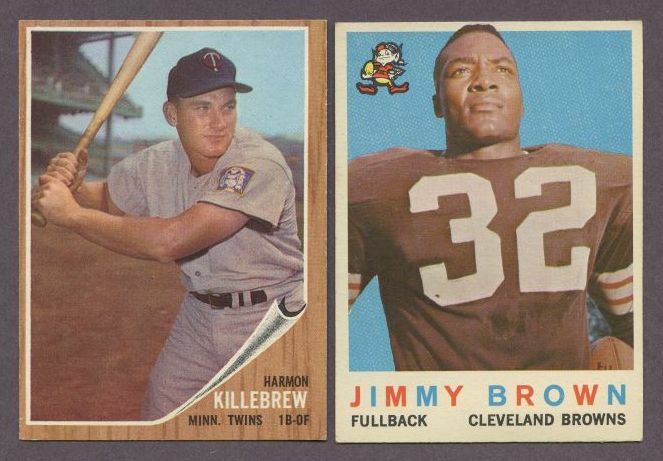 Cards that grade "GOOD" are the lowest grade that we usually carry for post-war common players. The exception is a few Super Star Cards. These cards are very worn. If you are looking for nice condition cards, please do not buy this grade! 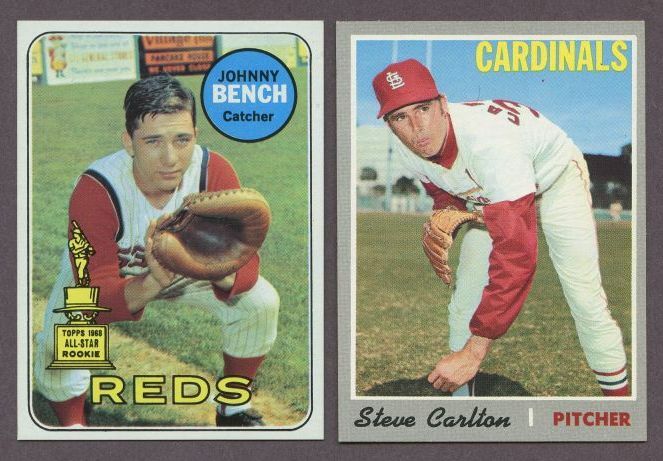 Cards are defined as Authentic when a numerical grade is not applicable. This could be true when a card presents severe damage, a major defect, or when an alteration has been made. This condition simply indicates that the card is indeed genuine.